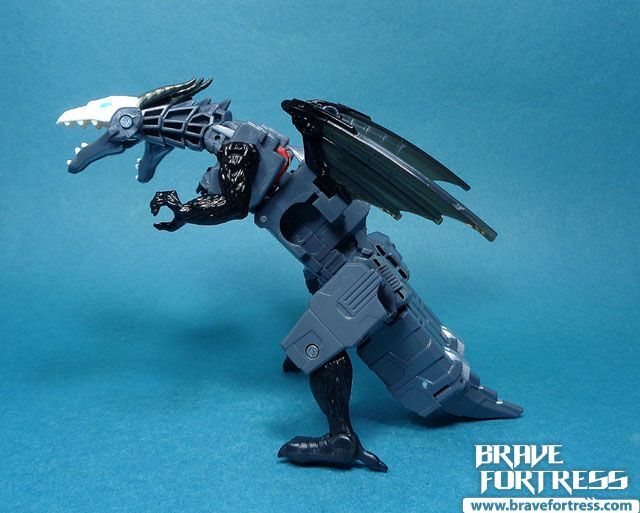 White Leo is actually a character from the Beastformers, also known as Battle Beasts. 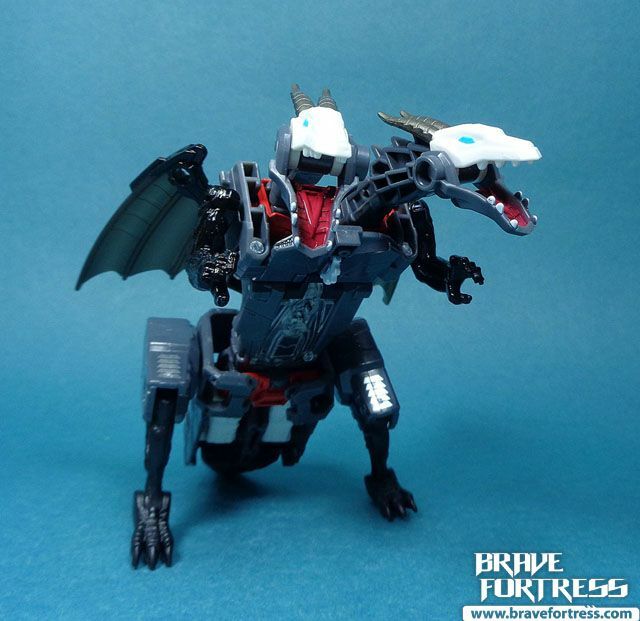 He is the leader and king of Bistoram. 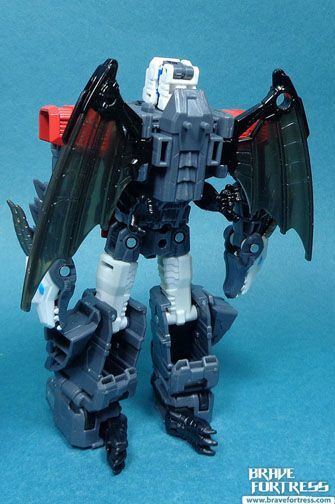 He appeared in the Japanese Headmasters Anime. 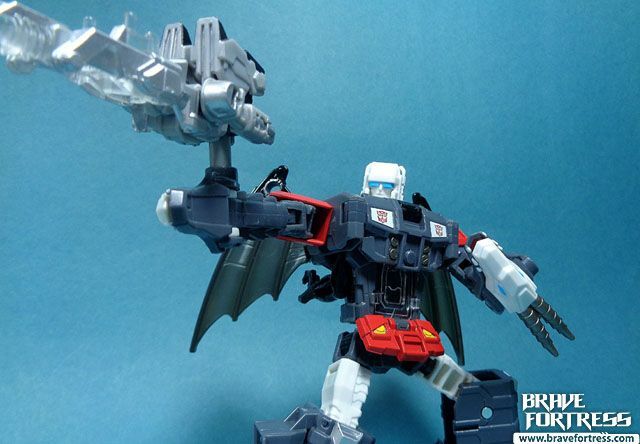 Headmasters/ Titan Masters ride inside the belly of the beast. 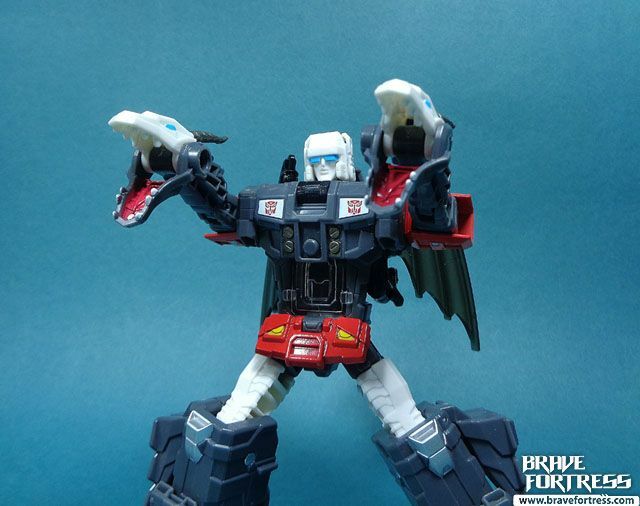 Doublecross’ outstanding feature is that, in his beast mode, his left and right hands are two different personalities, often bickering with each other. 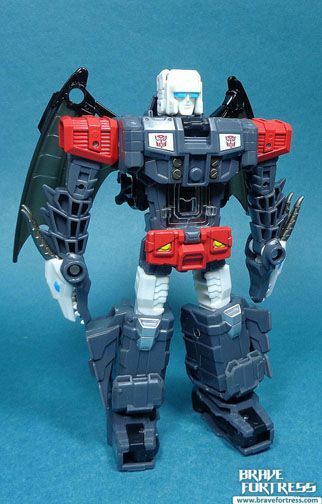 In robot mode, one of the personalities becomes the dominant one and takes control, whichever one it is, is usually random. 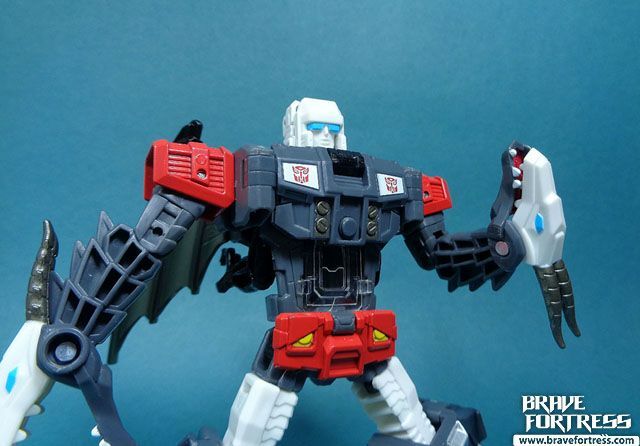 Listen to me, left hand! 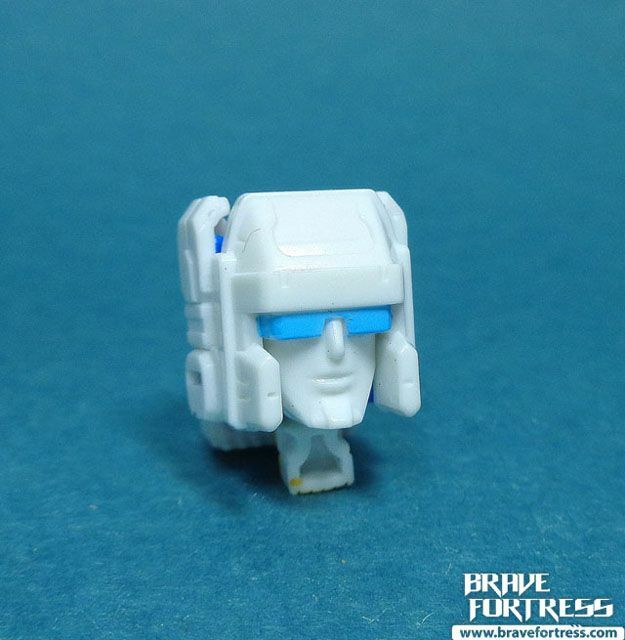 Listen!! 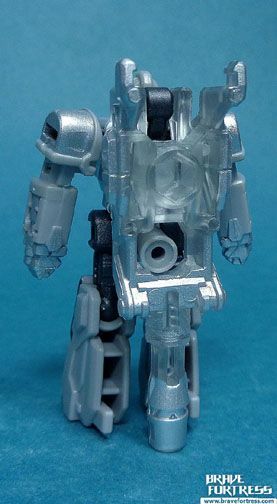 Targetmaster Haywire in weapon mode. 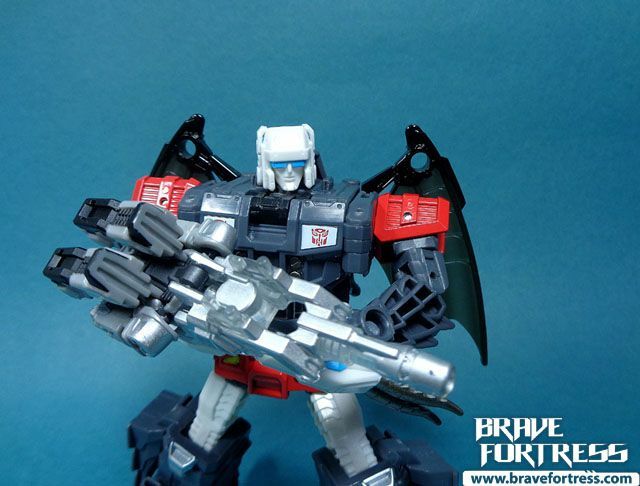 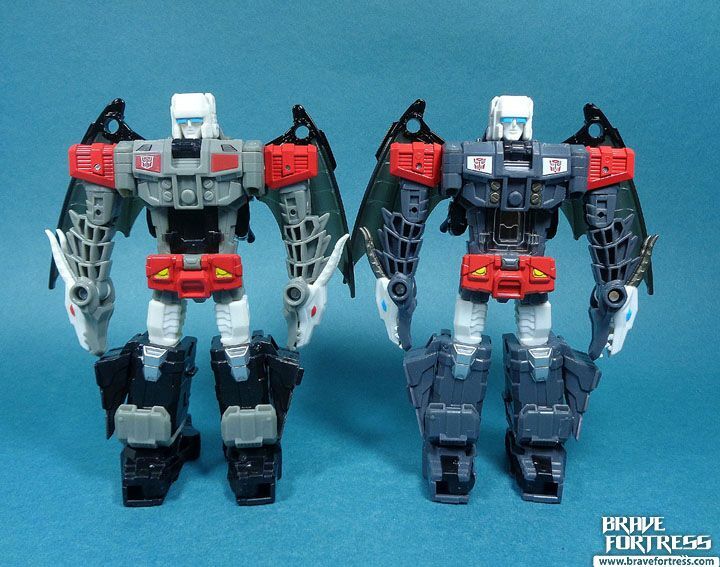 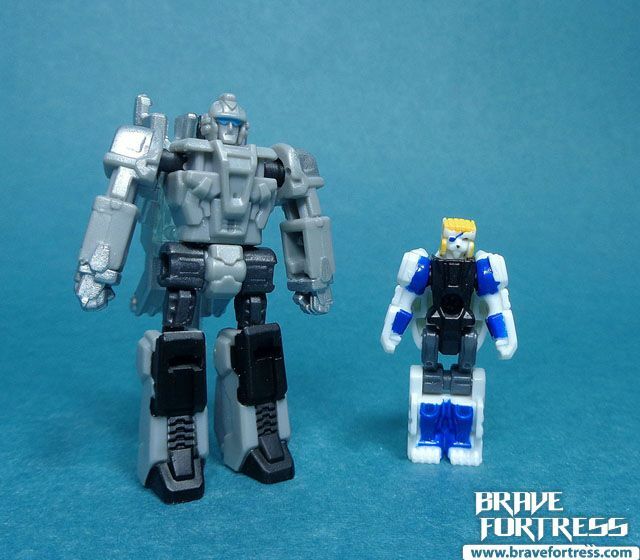 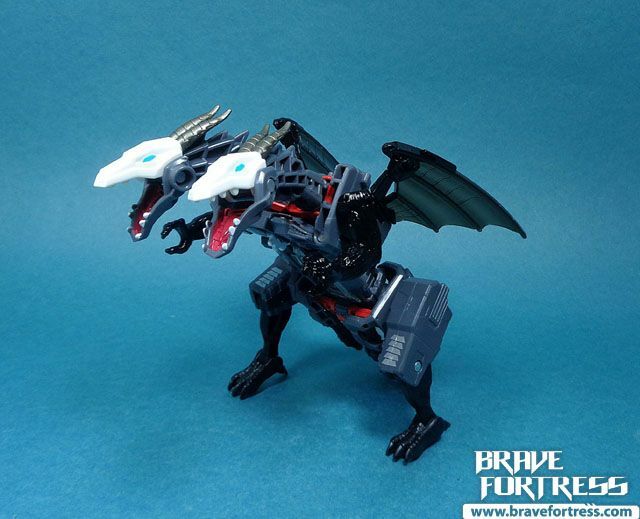 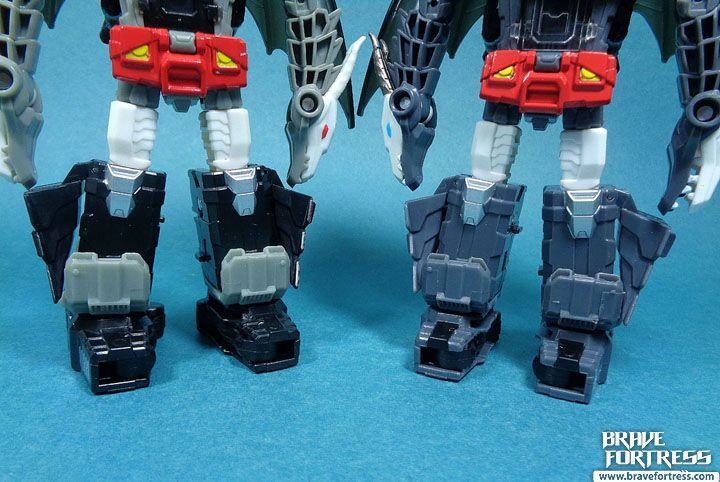 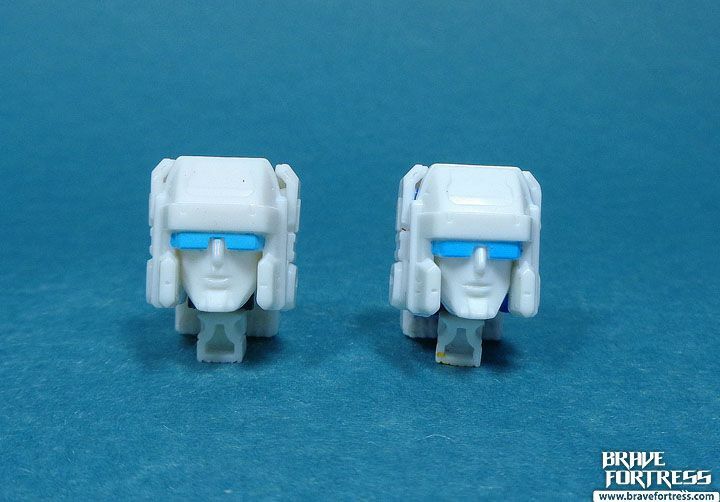 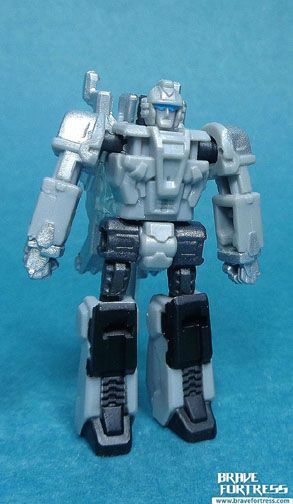 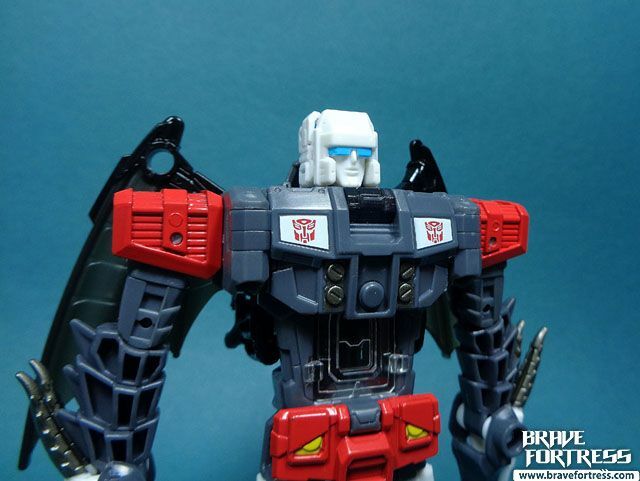 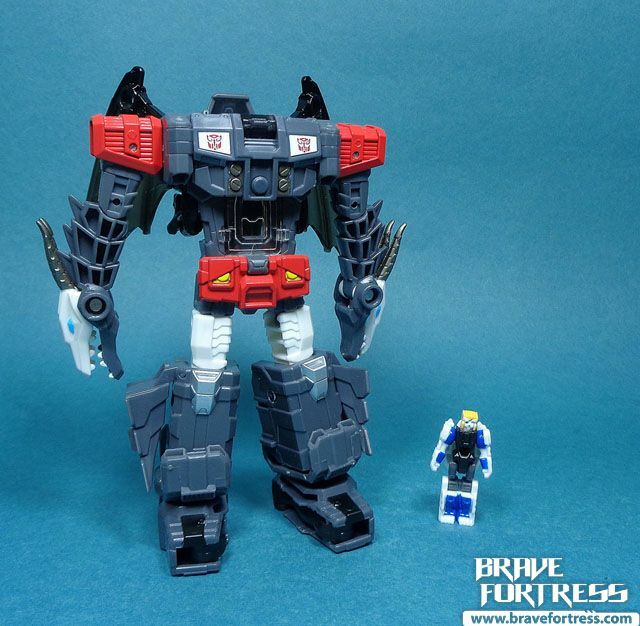 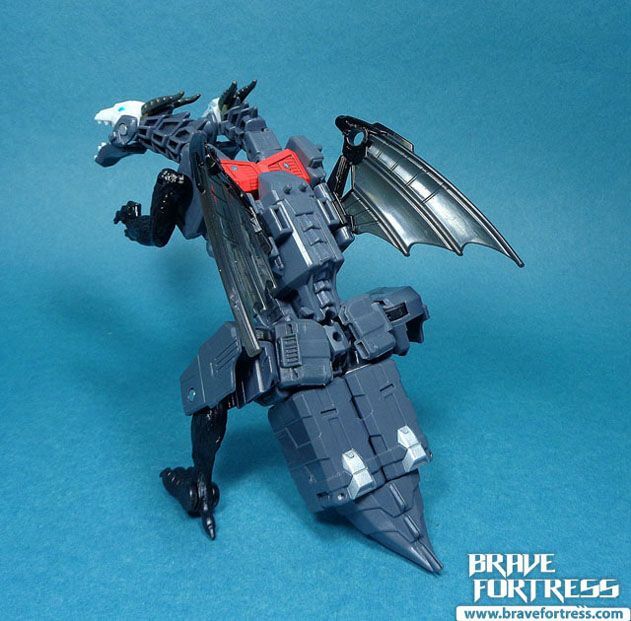 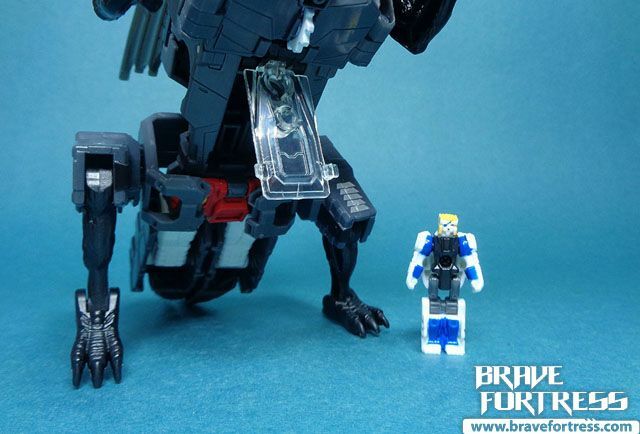 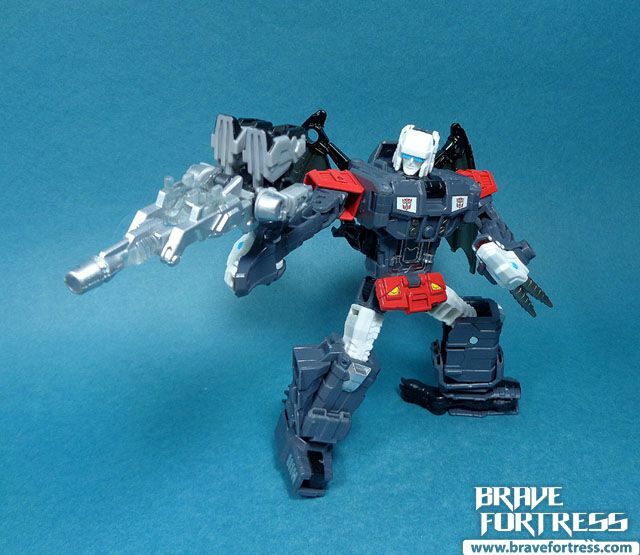 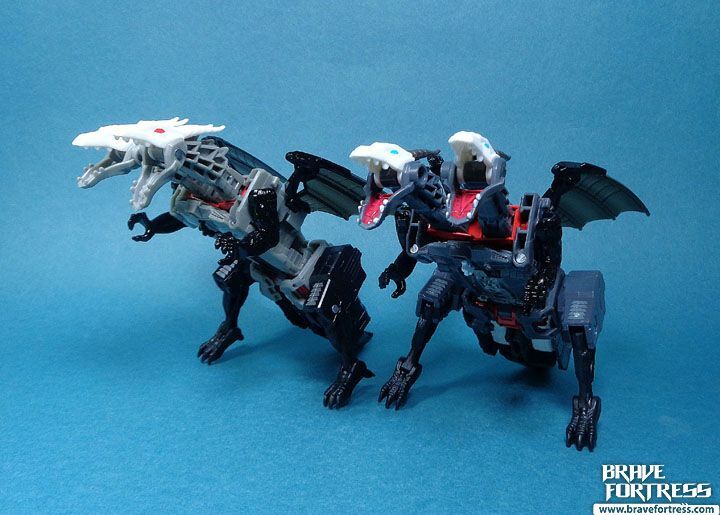 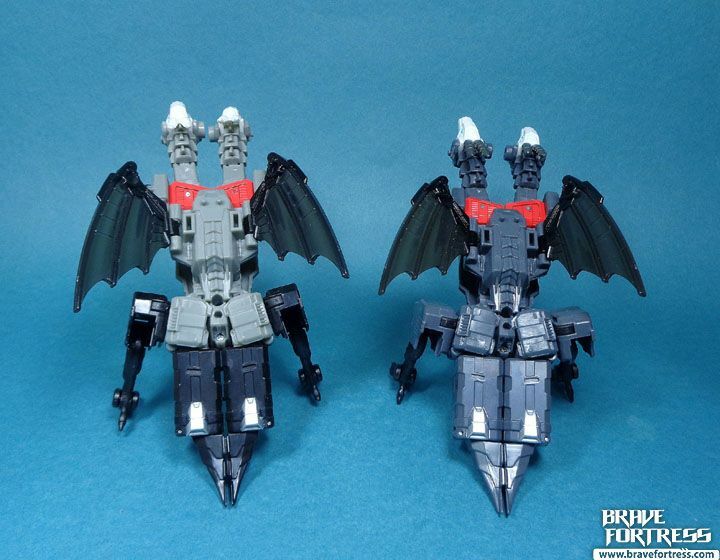 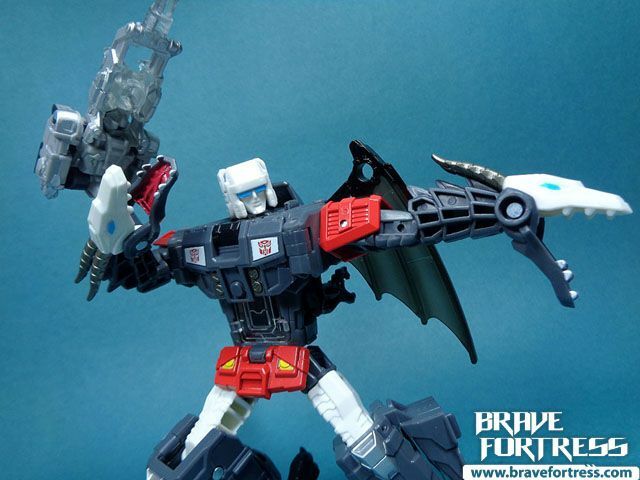 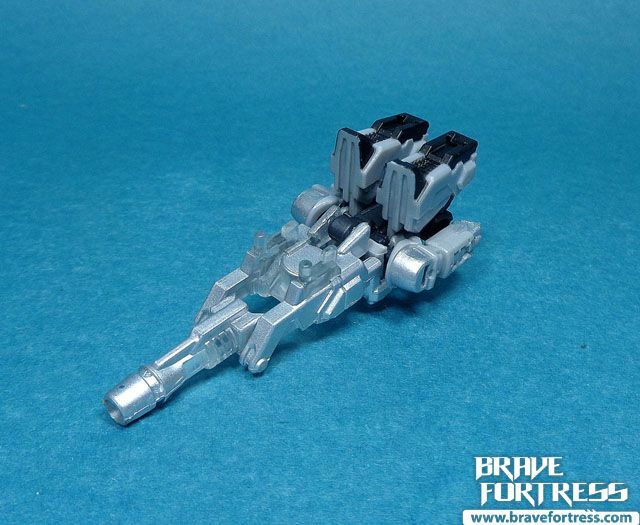 Comparison with the Hasbro version (Twinferno with Daburu). 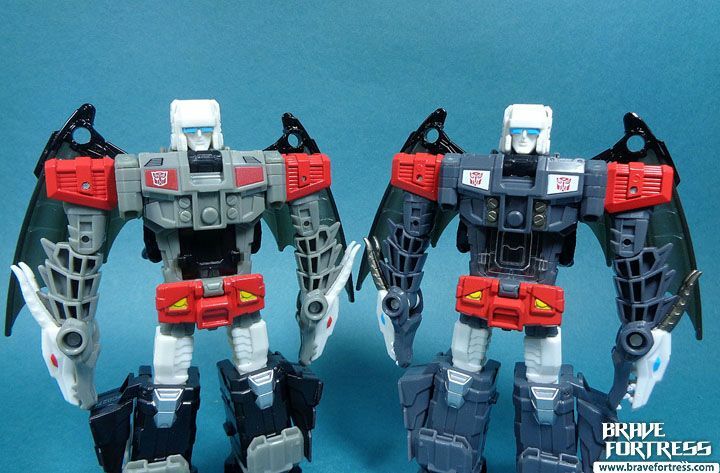 Takara version on the right. 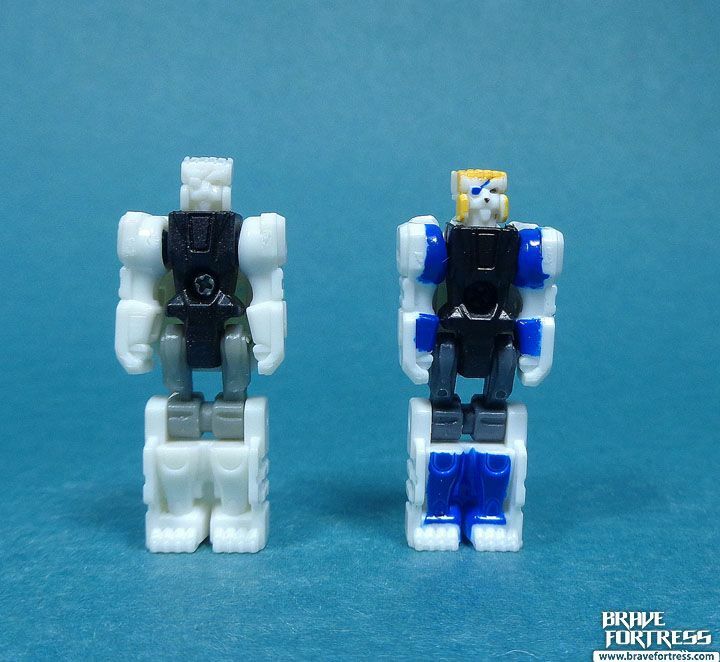 Personally, I really like the colors on the Takara version more.